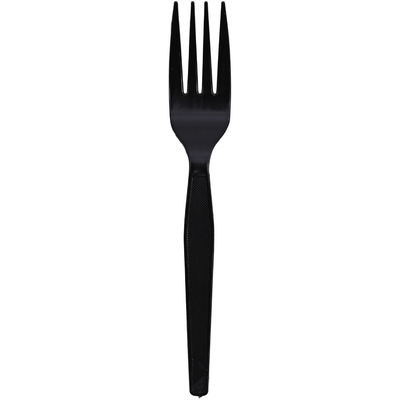 Heavyweight Cutlery Is Strong Enough To Handle Dense Or Heavier Foods To Provide A Satisfying Dining Experience For Your Guests, Customers And Employees. Textured Handle Is Easy To Grip To Provide Better Control. Disposable Design Allows Quick, Easy Cleanup After Each Use. Cutlery Is Perfect For Office Parties, Breakroom Use, Take-Out Meals, Catering And More..
Heavyweight Cutlery Is Strong Enough To Handle Dense Or Heavier Foods To Provide A Satisfying Dining Experience For Your Guests, Customers And Employees. Textured Handle Is Easy To Grip To Provide Better Control. Disposable Design Allows Quick, Easy Cleanup After Each Use. Cutlery Is Perfect For Office Parties, Breakroom Use, Take-Out Meals, Catering And More.